This chronology is a portion of an ongoing re-analysis project for tropical cyclone events along the Georgia and northeast Florida coasts, including inland north Florida and southeast Georgia. The domain for this study ranges from Savannah, Georgia in the north to Flagler Beach, Florida in the south, the adjacent coastal waters, the inland cities ( and their surrounding areas) of Palatka, Gainesville, and Lake City in Florida and Waycross, Georgia. The number of hurricanes and principle areas affected after 1900 are considered to be fairly accurate, but are the subject of a reevaluation by the Hurricane Research Division (HRD) in Miami, Florida ( Landsea, Et al, 1999 ). The intention of this study is to accurately extend the historical hurricane landfall data base for the study area back as far as possible, but at a minimum to 1800. Several listings of tropical cyclone landfall events have been complied by various authors over time. These listings were the first sources consulted for the timing of potential landfalls affecting the re-analysis area. For the purposes of this study, these first source commentators are collectively referred to as the “Primary Commentators” (see definitions for details) in the body of the chronology. All events listed by at least one of these commentators are addressed, even if no verification of the listed event can be authenticated. The reasoning behind this is to make the chronology as complete as possible and to give future studies a complete listing and evaluation of all possible events. Next, area historical societies, historical sites and libraries were visited in a search for journals, diaries, clippings and other documents which could be useful in ascertaining possible tropical cyclone events which are not currently listed in the meteorological record. Listings of shipwrecks were also consulted for possible ship losses associated with tropical cyclone events. Newspapers from the study area were also searched for references to events which could be tropical cyclone events. Finally, all events listed in the Hurricane Database (HURDAT), maintained by the National Hurricane Center, which may have affected the geographical area covered by this study (Figure 1) are addressed. A summary of the author’s evaluation of the storm is included. It is very difficult to assess the information on many hurricanes prior to the 1880s due to the sparse population base. It may be assumed that the most extreme early nineteenth century events (1804, 1824, 1854) have become a part of the local historical record and that information is fairly accurate. A few events which may have been significant or major storms (e.g. 1806, 1813, 1837, 1896, 1898) may have been lost from the record due to difficulties in finding and translating the original Spanish documents and the aforementioned sparse coastal population. In a few cases it is possible to estimate the intensity of nineteenth century storms based on tidal information (1896, 1898, Sandrik and Jarvinen 1999, Sandrik et al 2000); however, if such information is not available it becomes necessary to utilize damage reports. Prior to the nineteenth century, it is difficult to access damage, as construction techniques are too varied and too few structures survive for comparison with modern structures. Therefore no assessment of hurricane intensity will be attempted prior to 1800. As noted above, the coastal areas between St. Augustine and Amelia Island were sparsely populated, and it is difficult to obtain reliable information from that region. Additionally the documents which are available and predate 1821 (for the most part) must be translated from the original Spanish documents. Furthermore, almost continuous conflict from the late eighteenth century through 1840 (e.g. War of 1812, East Florida Patriot’s Rebellion, Seminole Wars), resulted in the migration of settlers from that area. The islands of the Georgia coast tended to be more heavily populated and had a more stable population base primarily comprised of gentlemen planters. Therefore, more reliable information is available in those locations. Overall the population of this area was more stable and experienced earlier settlement than other portions of Florida. This is particular true with respect to southern portions of the state, in the vicinity of present day Miami, Fort Myers and Naples, which were very sparely populated into the late nineteenth century. During the study period, references to the city of Jacksonville generally apply to the area within several miles of the present day downtown. Other areas, which are considered to be a part of “modern Jacksonville”, are not treated as such by both period press reports or early historians (Davis, T. Frederick, 1925). It must be understood that the city of Jacksonville, as it existed prior to the twentieth century, was an inland city approximately fifteen miles from the Atlantic Ocean. Additionally, other than a few small settlements, most of the beach areas were not settled until the 1880s, and those that were settled earlier were generally located on relatively high terrain. The information pertaining to weaker storms may not be as reliable. It is possible that some of the early events may not have occurred on the dates listed, or may not have been at hurricane intensity at landfall. However, this is believed to be a good record from the nineteenth century onward and that all hurricane events since 1800 have been archived within. Figure 2 indicates all Northeast Florida hurricane events from 1565 through 1899. Figure 3 indicates all hurricanes for Lower Georgia during the period 1565 through 1899. Figure 4 indicates all hurricanes for the Upper Georgia coast from 1565 through 1899. Figure 5 indicates all hurricanes for coastal Georgia from 1565 through 1899. The sparseness of hurricane occurrences before the 1790s (none at all before the 1750s for Georgia) is an artifact of the lack of settlements along the coast primarily. Figure 6 indicates all major hurricanes in Northeast Florida and coastal Georgia 1565 trough 1899. Most notable from this figure is a relatively even spacing with respect to major hurricane events during the early decades of the Nineteenth century with a sharp increase in Major events during the 1890's followed by a absence of major events during the subsequent century. This later period is also associated with significant population growth in the study area and a low experience level with major hurricane events (Jarrell et. al. 1992). This work spans two distinct calendar systems, the old style Julian Calendar and the modern Gregorian Calender. Spain converted to the new system in 1582; however, there was some delay in the transition in the West Indies and it is possible the old calendar may have been in use in portions of the Indies through 1584. In the English world the transition between these calendar systems occurred on 2 September 1752, when eleven days were skipped to bring the calendar into astronomical alignment, and the next day was designated 14 September 1752. The dates of the events have been corrected to the modern calendar; however, due to the historical nature of the source material, the dates have not been modified in historical quotations. To avoid confusion the old Julian dates have been placed in parenthesis next to the modern dates where possible. For example; “Date(s): 24 Sept (14 Sept - Julian)”. Tropical Cyclone: A generic term for a non-frontal synoptic scale cyclone originating over tropical or subtropical waters with organized convection and a definite cyclonic surface wind circulation. It is recognized that some of the events described in this document may not be of tropical origin and a note is made if a case is too subjective, or insubstantial, to be classified as a tropical cyclone. Tropical Depression: A tropical cyclone in which the maximum 1-minute sustained 10 meter wind is 33 knots (38 mph) or less. Tropical Storm: A tropical cyclone in which the maximum one minute 10 meter wind speed ranges from 34 knots (39 mph) to 63 knots (73 mph). When dealing with narrative descriptions of historical events this determination must be somewhat subjective and for the purposes of this study it will be any storm causing minor disruption or damage either through wind action or storm surge. Hurricane: A hurricane is defined as a tropical cyclone in which the maximum one minute sustained 10 meter wind speed is 64 knots (74 mph) or greater. Based on the modern day Saffir-Simpson Hurricane Intensity Scale, this definition would describe any storm of Category One or greater intensity ( see Major Hurricane ). When dealing with narrative descriptions of historical events this determination must be somewhat subjective and for the purposes of this study it will be any storm causing significant, but not devastating, damage through either wind action or storm surge. Major hurricane: A major hurricane is defined as a tropical cyclone in which the maximum one minute sustained 10 meter wind speed is 96 knots (111 mph) or greater. Based on the modern day Saffir-Simpson Hurricane Intensity Scale, this definition would describe any storm of category three or greater intensity. When dealing with narrative descriptions of historical events this determination must be somewhat subjective. For the purposes of this study it will be any storm causing devastating damage through either wind action or storm surge. Some authors will use the terminology of “Extreme” to describe the worst of these events. This study will refrain from using that terminology, excepting were previous studies have done so, and then only to refer to those works. Nao: A nao is a Spanish cargo vessel ranging from 300 to 600 tons, though by the late seventeenth century they reached 1,200 tons. They were armed with 10 to 12 cannon and had three to four masts. Urca: A type of cargo vessel, although many were used as warships. Originally intended to be used in shallow water and the interior consisted of large empty spaces without partitions. Many carried treasure from the New World to Spain. Flotas: A Spanish convoy system designed to protect the treasure fleets. Two Flotas, or fleets, departed Spain each year, the Nueva Espana and Terra Firme fleets. Both fleets met in Havana and attempted to depart that city together before 20 August. Several Flotas encountered hurricanes and many vessels were sunk along the Florida coast. 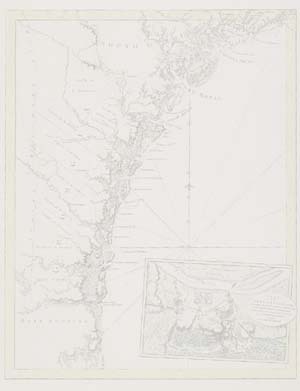 Upper Georgia: The area north of the Altamaha River (31.4N) to the Georgia-South Carolina State Line (Figure 1). Lower Georgia: The area south of the Altamaha River to the Georgia-Florida State Line (Figure 1). Northeast Florida: The area from Flagler Beach (29.5N) north to the Florida-Georgia State Line and west to the Suwannee River (Figure 1). Coastal Waters: Those waters adjacent to the coastline and out to 50 nautical miles. They are broken down into Upper Georgia, Lower Georgia and Northeast Florida, using the same coastal landmarks as indicated above. Interior Region: When clear proof of a tropical cyclone impact on the interior portion of the study area can be ascertained it will be indicated as interior Northeast Florida and/or interior Southeast Georgia (Figure 1). Jose Carlos Millas, Hurricanes of the Caribbean and Adjacent Regions, 1492-1800. Jose Fernandez-Partagas and Henry F. Diaz, A Reconstruction of Historical Tropical Cyclone Frequency in the Atlantic from Documentary and Other Historical Sources, Volumes I-IV. Arnold Sugg, Leonard Pardue and Robert Carrodus, Memorable Hurricanes of the United States Since 1873. Edward Rappaport and Jose Fernandez-Partagas, The Deadliest Atlantic Tropical Cyclones, 1492-1994. Landfall Point(s): Unknown, likely an offshore storm. Remarks: A well known hurricane, documented by all commentators. Sank Jean Ribault’s fleet. Led to the fall of Fort Caroline and the loss of French influence in northeast Florida. During September of 1565 both the Spanish, in St. Augustine, under Menendez, and the French, at Fort Caroline, under Ribault, were attempting to eliminate each others position in the New World. Ribault, ignoring the advice of his second in command, sailed into a building hurricane, which dashed his ships ashore between present day Matanzas Inlet and Cape Canaveral. Most likely a minimal hurricane. Millas quotes the diary of the army chaplain Francisco Lopez de Mendoza Grajales, “...a hurricane and a tempest came, and it was so great that they surely must have been lost. (He refers to several French vessels)” . This hurricane is referred to as "San Mateo" by the Spanish. The French survivors were later massacred in the dunes near Matanzas Inlet ( which is loosely translated as slaughter ) and Fort Caroline was captured by the Spanish, thus securing north Florida for Spanish rule. Summary: This storm will be counted as a hurricane for northeast Florida and the northeast Florida coastal waters. Remarks: This is a previously undocumented event, and is believed to be new to the meteorological record. Descriptions are taken from the Spanish accounts of the Jesuit expedition under Padre Pedro Martinez to Santa Helena (or Santa Elena, near present day Paris Island, S.C.) and held in the Stetson collection at the St. Augustine Historical Society. “A hurricane which arose on the 3rd of September, and lasted 12 hours, put them in such danger that they confessed all who understood Castilian, until when, the sea subsiding, they could sail toward the coast.” “On 4 September at noon, the weather cleared. It took two days for the urca to regain the sight of land. The pilot thought that a large bay that he spotted was near Santa Elena, so he moved closer to shore. That night, another storm struck which carried the ship so far out to sea that it required four days to return to the coast. ” It seems unlikely that two separate hurricanes could impact the expedition in so short a period of time or that they would survive two direct encounters with the same storm. It seems the second storm they encountered caused a prolonged period of westerly winds and may have been associated with a frontal passage. The first certainly may have been the fringes of a hurricane passing along the southeastern coast. Summary: Will be counted as an offshore hurricane on the 13-14 (3-4) of September, for the northeast Florida and upper/lower Georgia coastal waters. Landfall Point(s) Unknown, likely an offshore storm. Remarks: Listed by all of the primary commentators. The second and likely more severe hurricane of 1566 was encountered by the Jesuit Expedition on the 26th (16th) of September. Father Martinez disemBarked for the beach on the 24th (14th) of September and could not be relocated by the crew of the urca. “Those on the Urca were not a little worried, for the boat of explorers had set out after mid-day on the 14th of September and yet at nightfall it had not returned, they fired a shot to advise them, and beside, before the menace of a tempest, the pilot had decided to find a harbor. He cast off at midnight and they were driven to Cape Canaveral (28 deg. 30 min) running into an entrance where it was very difficult for them to come out, because of a contrary wind and the current of the sea.” The urca was sighted off the port of St. Augustine but it did not recognize the port. Certainly this event affected the coastal waters from northeast Florida to South Carolina. Summary: This event will be counted as an offshore hurricane for the 24-26 (modern calender) September 1566 for the northeast Florida and Georgia coastal waters. Summary: This hurricane likely made landfall in the vicinity of St. Augustine and will be counted as a hurricane for northeast Florida and the northeast Florida coastal waters. Landfall Point(s): Unknown, likely an offshore storm, if it existed. Remarks: The principle modern commentators (Carter, Dunn and Miller, Ludlum, Millas, Rappaport and Partagas or Tannehill) make no mention or listing of this event. Marx (1994) reports, Don Antonio Martinez Carvajal wrote to the King from Havana on November 13 (3), 1579, stating that ‘we set out for St. Augustine and by reason of a tempest one of the two frigates we had was lost...the General and the rest of the people were saved from the wreck of said frigate, whence he went by land to the fort of St. Augustine.’ ” A powerful Indian tribe, the Ais, generally killed shipwreck survivors along the central Florida coast so it seems likely the wreck occurred fairly close to St. Augustine for the crew to survive the walk back to that city. See the “1571 or 1572" listing above. Summary: As the date, location and characteristics of this event can not be ascertained it will not be listed as a tropical cyclone but is added to the list for historical completeness. Landfall Point(s): Unknown, likely an offshore event. Remarks: Listed by Rappaport and Partagas (storm #276) . Marx (1994) reports, “...the Armada and the Flota de Tierra Firme and Flota de Nueva Espana met in Havana, forming a convoy of about 100 ships, and sailed from Havana on September 9. Soon after entering the Bahama Channel the convoy was struck by a hurricane... ...While running up the Bahama Channel before the hurricane, three merchant naos also sank in 30 fathoms of water in about 30 degrees of latitude.” No reports of damage on land have been discovered. Summary: As this latitude coincides with northeast Florida and the 30 fathom line is relatively close to shore, this event will be counted as an offshore hurricane for the northeast Florida coastal waters. Remarks: Marx (1994) reports, “A Spanish fleet of 75 ships left Havana after spending the winter there... ...After the convoy, consisting of ships from Mexico and South America, left Havana on July 27, it was beset by many storms and no less than 29 vessels were lost, many off the coast of Florida.” There is no way to prove that these storms effected the northeast Florida area, but given the scope of the event it seems to be a reasonable conclusion that some effects may have occurred there. 1591 appears to have been an active year, Ludlum and Tannehill lists four storms between mid-August and mid-Sept. and Ludlum reports a landfall near Roanoke Island, NC on August 26th (16th ). Millas lists no Caribbean storms suggesting the activity was confined to storms recurving around the Mid-Atlantic Ridge. Summary: Given the evidence it seems likely that one or several hurricanes passed through the offshore waters this year. Since definitive proof of this event cannot be found, it will not be counted, but is added for historical completeness. Summary: As the fort was of wooden construction and most of the era houses were of wood frame construction, it is impossible to determine the intensity of this event and it will be counted as a hurricane for northeast Florida and the northeast Florida coastal waters. Summary: Will be counted as a hurricane for northeast Florida and the northeast Florida coastal waters. Marx (1994) reports, “A convoy consisting of the Nueva Espana Flota, commanded by Captain-General Juan de Campos and the Armada de Barlovento (a squadron used for protecting returning flotas during time of war), was struck by a hurricane on September 27 in the latitude of 30 degrees north and five ships of the Flota were wrecked on the coast of Florida. Four of the five ships were merchant naos, and there were no survivors... ...Other ships in this same convoy were in such bad condition that they sank on the high seas.” Millas identifies a storm on 24 September (plus or minus one day) in the Florida Straits and the Bahamas and apparently this is the same storm passing northeast Florida. Summary: The beaching and total loss of the naos indicate that strong surf and high winds were occurring along the northeast Florida coast, however, no documents have been uncovered which indicate damage to the city of St. Augustine. Therefore it would appear that St Augustine was on the weaker western side of the circulation. This event will be counted as a hurricane for the northeast Florida coastal waters and a tropical storm for northeast Florida. Known as “The Great Storm of 1674 dealt a serious blow to the town and the old fort when the waves pounding at the rotting walls, brought the guns crashing down." . A letter from the Sergeant Major and Royal Officials to the Crown (Spanish) on 15 October 1674 note that Arch Bishop Calderon arrived from Havana four days after a severe hurricane and “A hurricane hit the coast uniting the sea with the city, ruining half of the houses and flooding the streets and ruining the crops” . Arch-Bishop Calderon arrived in St. Augustine on 23 August 1674. A letter from Gov. Corcoles to Crown (Spanish), held By St. Augustine Historical Soc. Stetson Papers, pp 4. Reports a hurricane lasting 24 hours beginning on 30 September. City was completely inundated, most of the houses destroyed. The inundation of the city suggest either a hurricane making direct landfall near or to the south of St. Augustine. Most of the houses of the city are reported as destroyed by the winds and storm surge. It rained for 24 hours, likely a “Dora” type landfall. Due to the destruction of the town of St. Augustine by English forces in 1704, it is difficult to ascertain the magnitude of the system because of an incomplete understanding of the structural characteristics of the remaining buildings. Remarks: Likely a major hurricane which passed just offshore of the Georgia coast. Ludlum reports, “incredible damage was done to the trees...” Bullard (1996) describes damage by this storm to Fort William at the south end of Cumberland Island, “Farther along on Cumberland Island, adjacent to Spanish-held Florida, they found Fort St. Andrews at the north end abandoned and in ruins. Fort William with its lonely detachment- six solders and their corporal- stood at the south end. Damaged by the 1752 hurricane, it too, suffered neglect and, as Bryan noted, was ‘In a ruinous Condition.’ ” The storm was described as being “extreme” in the Charleston area. Note: this storm impacted the Charleston area on the day of the transition between the Julian and Gregorian Calendars. Summary: This storm will be counted as a hurricane for upper Georgia, an offshore hurricane for the upper and lower Georgia coastal waters. The damage to the fort on Cumberland Island is likely due to surf and lower Georgia likely only experienced tropical storm conditions. No Florida information is available. Bullard (1996) reports, “Here came on a violent storm of Wind at NE and Rain which came on the Night before, but now with greater violence, which prevented our going over the sound to Amelia...” . “This afternoon we set away from Fort William homeward, the bad Weather continuing, and at Night a terrible storm came on. we came to an anchor, and lay all night, hoping to cross Cumberland Sound in the Morning, but the Weather continued. our poor Men Suffer’d very much...” Later the rain ceased, however the wind remained “very hard” and the seas across Cumberland Sound are described as “great.” The expedition in fact turned back never reaching Amelia Island. This may be a tropical storm or a minimal hurricane offshore of the area. Wedges (or as they are known in the study area “northeasters”) are not unheard of in August, but the description of a “terrible storm” is not characteristic of typical northeaster conditions. Tannehill lists a hurricane at Charleston on September 15th but no listing is made of this event. Summary: This storm will be counted as a (very questionable) tropical storm for Lower Georgia, Northeast Florida and the Lower Georgia and Northeast Florida coastal waters. Landfall Point(s):Unknown, likely an offshore event. Possibly a tropical storm or minimal hurricane. Apparently, not a significant event for coastal Georgia. 1756 had several Carribean landfalls, with a storm moving over the Caymans on October 1st and just east of Havana on the 2nd and 3rd being a strong candidate for this event. Summary: As no reliable information can be obtained on this storm it will not be counted as a tropical cyclone, but is included for the historical completeness of this chronology. Remarks: Listed by Ludlum and Tannehill, no further information is available. Summary: As the characteristics of this event cannot be ascertained it will not be counted as a tropical cyclone but is added to the list for historical completeness. Remarks: Listed by Carter but not identified by the other principle commentators. Affected the South Carolina coast and likely the Georgia coastal waters. Mock (2001) has identified a South Carolina landfall on this date, so it appears reasonable that a tropical cyclone traversed the coastal waters. Apparently, not a significant event for coastal Georgia. Summary: This storm will be counted as an offshore hurricane for the upper Georgia and lower Georgia coastal waters. Remarks: Singer (1992) reports, “Charming Sally (schooner) and two French sloops - One of the sloops wrecked at St. Augustine and the other two vessels a few miles down the coast from St. Augustine...” Possibly a “local northeaster”. Summary: As the characteristics of this event can not be ascertained it will not be counted as a tropical cyclone but is added to the list for historical completeness. Remarks: All of the principle commentators list a hurricane along the Florida east coast on 30 August. No other information is available on this event. A reference could not be found to it in the archives in St. Augustine. It is almost certain that a significant event as late as this would have found its way into the historical archives. Summary: As the characteristics of this event can not be ascertained it will not be counted as a tropical cyclone but is added to the list for completeness. This may be the same event as indicated in the following listing. Remarks: Not previously listed by any commentator. It is believed to be the same storm as 28-29 September at Charleston. From Gov. James Grant to Lord Hillsborough (English Period), held by the St. Augustine Historical Soc., Ref CO 5-551, “-EmBarkation should be avoided in September if possible, for in these Southern Latitudes we have always very Stormy Weather about the time of the Equinox - the 25th of September last there was a the hardest Gale I ever saw in any part of the world, it really may be called a hurricane- the Transports which were in great danger are refitting in Charles Town- the Schooners with the 21st Regiment on Board are in sight...”. ‘The Stormy Weather of September has hurt our planters exceedingly, and will prevent their sending home any thing near the Produce I expected- Georgia and the two Carolinas have suffered much from the same cause.” . Marx (1994) indicates that the British merchant snow (a type of vessel) Ledbuy “was driven onshore near Cape Florida by a violent gale of wind on September 29...” but that event may have occurred in October ( See below ). Ludlum lists a hurricane in Charleston on the 28th and 29th of September and that may be the same storm. Clearly, there was a hurricane in the area in late September 1769. Remarks: All of the principle commentators list a hurricane along the Florida east coast on 29 October. Summary: This is a confusing report, the latitude referenced corresponds well within the southern edge of the study area, however the references to Key Largo are confusing. The date is also suspicious occurring exactly one month following the previous report. Most likely this storm made landfall over southwest Florida and was passing offshore south of northeast Florida, on an east-northeast track. Millas does not report any 1769 storms in the Caribbean, and it seems unlikely the storm passed over Cuba. The authors cannot ascribe a high level of confidence to this being a northeast Florida event but a coastal waters event seems likely. Remarks: Apparently the series of legendary October hurricanes were making their presence felt along the northeast Florida coast. It is possible the strongest of the three, the 11-18 October “Great Hurricane”, may have come closer to the Florida peninsula than previously thought. Mr. Josiah Smith made the following report from St. Augustine, “Thursday 19th October. The weather as mentioned on Saturday, growing worse, by Sunday evening it came on to Rain and blow excessive hard, and till the evening of yesterday was a mere Gale at about N. N. E. by which means the Sea came in very heavily upon the front of the Town and raised the Tide several feet higher than common, and which ran through some of the Lanes up to the Second Street, above 150 feet from the bay...” Severe erosion occurred with this event. It is possible the “Great Hurricane” came closer to the coast than previously realized and the pressure gradient may have been very tight along the coast. This report could also be attributed to “Solano’s Storm” in the later portion of the period. Summary: This storm will not be counted as a hurricane, but it may be that the fringes of one, or more, of the series of “Great Hurricanes” influenced the study area. Remarks: Ludlum was the primary source for this event. The wind direction at both Charleston and Wilmington, North Carolina indicate the storm must have moved along some portion of the Georgia coast. Summary: As the characteristics of this event can not be ascertained it will not be counted as a tropical cyclone for the study area but is added to the list for historical completeness. Jacksonville historian JimWard refers to damage done to the Quesada Battery (presently the Mayport Naval Station) caused by a hurricane. Pedro Diaz Berrio, the chief military engineer for the province reported the parapets had been blown away and the structure was undermined by the early October hurricane. The Military Post at San Vicente Ferrer (St. Johns Bluff) suffered significant erosion and the cemetery was eroded away exposing the skeletons based on a letter dated 9 October. From the dates of the letters contained in the East Florida Papers, it appears this storm must have been an early October event. Remarks: Marx (1994) states, “A number of American vessels were cast away on the east coast of Florida during a hurricane on October 15 or 16. Some were also lost in the Bahamas.” According to a letter from the East Florida Papers, Bundle 165, dated 17 October 1797, a frigate bound for Hamburg was grounded north of the St. Augustine Bar. Ludlum lists a hurricane striking Charleston on the 19th and 20th, and this is likely the same event. This storm was not listed by Millas, so Ludlum’s scenario of this storm moving across Cuba seems unlikely. Summary: This storm will be counted as a hurricane for northeast Florida, Upper Georgia and Lower Georgia coastal waters. Remarks: “Great Gale of 1804”, sometimes called “the Antigua-Charleston Hurricane of 1804". Aaron Burr noted in a correspondence that St. Simons Island was flooded with water 7' above normal and described the eye transiting his location. The tide rose10' above MSL on the Savannah waterfront, approximately 60 miles north of landfall, and in the same area Gunboat #1 was driven 7 miles over marshes finally coming to rest in a cornfield on Whitemarsh Island. The storm was severe at Dungeness, on Cumberland Island, and the severely flooded Pablo Creek (currently the intracoastal waterway) inhibiting Aaron Burr’s travel to St. Augustine on the 10th . More than 500 persons drowned. The Spanish Quasada Battery, at the mouth of the St. Johns River, was destroyed by the storm surge and had to be rebuilt. Dunn and Miller list this storm as, “Minimal for land areas and intense offshore for the northeast Florida coast on the 7th ”, yet Marx (1994) describes eight ships being sunk in St. Augustine harbor “during a fierce northeast gale” . Based on the above accounts and the Marx report, clearly the damage in northeast Florida was greater than previous commentators accounted for and this storm was more significant in northeast Florida than indicated in past studies. It seems reasonable that the storm moved on a northwest course just offshore finally making landfall at St. Simons Island and Darien. Apparently, the track was close to, but west of, the 27 August 1893 event. Summary: This storm will be counted as, a hurricane for northeast Florida and a major hurricane for Upper Georgia, Lower Georgia, the Northeast Florida coastal waters, Upper Georgia coastal waters and Lower Georgia coastal waters. Principle Affected Area(s): Upper Georgia coast - not counted. Remarks: listed by Tannehill, not reported by Ludlum or Dunn and Miller. Possibly a tropical storm or minimal hurricane. Summary: As no reliable information can be obtained on this storm it will not be counted as a hurricane, but is included for the historical completeness of this chronology. Landfall Point(s): South of St. Augustine. Remarks: Listed by Ludlum. Tannehill lists a hurricane passing through Dominica and Puerto Rico on the 9th through the 11th of September The Storm is not listed in Hispaniola but Marx (1994) indicates a hurricane in the Bahamas on the 13th of Sept, which wrecked the Polly and Speedwell and Ludlum reports that “...On September 13 a more severe gale threw down the houses and tore up the trees by the roots.” . On the 15th the Isaac was wrecked on Great Inagua Island . Summary: It appears this storm moved north of Hispaniola through the Bahamas then most likely making landfall along the Florida east coast. The severity of the storm at St. Augustine and the Bahamas suggests it may have been a major hurricane. This storm will be counted as a hurricane for northeast Florida and the northeast Florida coastal waters. Remarks: Identified by Ludlum, not listed by Tannehill nor Dunn and Miller. One of the more significant hurricanes in northeast Florida. Destroyed a portion of the storehouse at the San Vicente Ferrer fortifications on the St. Johns River. In St. Augustine Captain General Marques de Someruelos reported, “a strong storm accompanying a furious hurricane...destroyed the houses in this city, especially those on Marine Street [along the bay, added by author]. Those that remain are in a deplorable state... In the plaza and streets there were boats and canoes carrying the sad and miserable, fleeing ...in fear of death, looking for a safe house to save their lives.” Several destroyed homes were not rebuilt until 1822. Apparently this storm made landfall near or slightly south of St. Augustine and was felt into southeast Georgia as evidenced by the following: “Loss of Gun-Boat No 2. The U. S. Gun-Boat, No. 2 (schooner rigged) under the command of Mr. Lippincott, of the Navy, sailed from this port on the 9th ult bound for St. Marys. On Friday morning, 4th inst. They made Cumberland Island, but being unable to procure a pilot, they, at night, stood off, weather very bad and a high sea. - On Saturday morning, the wind increasing to a heavy gale from the N. N. E., the vessel was hove to under a trey sail, with her head to the eastward; about 11 a.m. The gale increasing, took in the trey sail, and in about five minutes after a heavy sea broke onboard, which hove the boat on her beam ends - they immediately attempted to cut away the mast, but that part of the crew which was below, in their alarm, forced open the hatches, which had been secured in the early gales and the Gun-Boat instantly filled and went down. Several of the crew attempted to save themselves from instant death by clinging to the floating sweeps, spars &c. But one only of their numbers escaped to tell the mournful tale; all the rest, after struggling awhile in the waves, shared the fate of those who went down with the vessel. The man saved is named John Tier, and what is very remarkable, he was one of the men saved from the wreck of Gun-Boat No. 157, lost on Charleston Bar on the 17th of May last. This man was picked up the next day, after having been 29 hours upon an oar, by Capt. Gould, of the schr. Dolly, of Rhode Island, and landed at Amelia Island...” 10 Officers and Passengers and 25 seamen perished in this wreck.. The coast of East Florida was reported to be strewn with wrecks. “Two or Three houses were blown down...” at St Marys. Summary: Based on the damage at St Augustine, St Marys and wreck of the Gunboat, this storm will be counted as a hurricane for northeast Florida, the northeast Florida coastal waters, Lower Georgia, and the lower Georgia coastal waters. Remarks: Listed as a major hurricane in Georgia by Dunn and Miller, not listed by Ludlum or Tannehill. Patrick (1954) reports, “On October 1 a wind of near hurricane force prevented the men from fording the St. Johns, but they crossed the river a few days later and spurred their horses forward” . The storm apparently was stationary or preformed a loop as the expedition again reported hurricane conditions on the 5th. If not for the dates of the letters describing this event it would be tempting to list this as a confused report from the previous year’s event. Clearly, northeast Florida was struck by hurricane conditions on the same date in subsequent years! This appears to be the same storm listed by Carter. Summary: No definitive information to support major intensity can be found, and it is possible it has become confused with the 16 September 1813 event. This storm will be counted as a hurricane for northeast Florida. Lower Georgia, the northeast Florida coastal waters and the Lower Georgia coastal waters. Remarks: Listed by all commentators. A description of this event at Charleston and the Bahamas appears in The Niles Weekly Register -Saturday, September 11, 1813, Page 32. Carter lists for Georgia, “A severe hurricane in the Charleston area had some effect in Georgia.” Apparently, not a significant event for land areas. Remarks: Identified By Ludlum, not listed by Tannehill or Dunn and Miller. Bullard (1986) prints portions of three letters describing this storm. Three letters by Mr. Phineas Miller Nightingale, on Cumberland Island, Dr. William Baldwin, on Amelia Island and Commodore Hugh Campbell, ALL describe the passage of the eye over their locations and with good correlation in respect to the timing of the events. The U.S. gunboats protecting St. Marys were sunk or scattered. 20 sailors on Gunboat 164 drowned along with 2 more on a Revenue Cutter and at Stallings 28 persons were reported to have perished. The descriptions of damage, storm surge, and wind direction from make it clear that a major hurricane made landfall along the St. Marys River and proceeded some distance inland. The storm was felt along the upper Georgia coast. From the letter by Commodore Hugh Campbell to the Secretary of the Navy, “The Saucy Jack privateer, of Charleston, lying ready to sail, is now lying high and dry on a marsh that must be at least 5 feet above the level of low tide. She draws 14 feet, seven feet being the common rise.” This would indicate a storm surge of at least 19 feet above Mean Low Water (MLW). Modern storm surge modeling indicates that a minimum of a category three, to possibly a category four storm, is necessary to generate that level of surge in the vicinity of St. Marys. This is possibly the same storm which Tannehill lists in the Leeward Islands on 7-8 September 1813. 1813 was an extremely active year in the North Atlantic basin. Summary: Based on storm tides at St Marys and reports from St Simons Island, this storm will be counted as a major hurricane for Lower Georgia and the adjacent coastal waters, and as a hurricane for Upper Georgia, the Upper Georgia coastal waters, Northeast Florida, and the Northeast Florida coastal waters. Remarks: Identified by Ludlum and Carter. The storm may be traced from newspaper accounts into the Mid-Atlantic States and Canada. Severe fresh water flooding (a “freshet”) occurred in the Baltimore area. Reports of the disruption of overland communications across coastal Georgia are also evident. The Savannah Republican, August 19, 1817 edition reports, “The late southeast gale [at Savannah, added by author] was very severe at Amelia [Island, added by author] and St. Mary’s on Thursday night last - most of the vessels in the later port were driven onshore, trees in the town torn up by the roots and much other damage sustained.” Marx (1994) does not list any wrecks which might be associated with it, however the Savannah Republican lists several. An exact landfall point can not be ascertained. Based on wind directions , the level of fresh water flooding and the locations of the primary damage, it seems likely that this was a hurricane progressing northward. The storm likely made landfall somewhere in the Apalachee Bay or the north Florida areas and proceeded north just inland through the mid-Atlantic states to Canada. Summary: This storm will be counted as a tropical storm for northeast Florida, Upper Georgia and Lower Georgia. The damage at St Marys suggest that it may have been of hurricane intensity there. Remarks: Reported by Georgia historian, Buddy Sullivan in his book, “Early Days on the Georgia Tidewater, The Story of McIntosh County and Sapelo, quotes Coulter’s book on Thomas Spaulding. “...a storm in 1819 caused considerable damage in Darien and other parts of McIntosh County, including Sapelo...” The Savannah Republican reported a hail storm with crop damage in August, which is believed to be to be the storm referred to. No other information is available on this event. Summary: As the characteristics of this event can not be ascertained it will not be counted as a tropical cyclone but is added to the list for completeness. The eye moved directly over the town of Darien, Ga. Remarks: Center probably skirted north of Caribbean islands and along the outer Bahamas. Exceeded 1804 storm in flooding and damage. St. Simons Island completely overflowed. 83 persons killed on this island. (not listed in Georgia by Dunn and Miller and is only indicated as being “Along the Georgia coast” by Tannehill. Well documented by Ludlum. The eye passed directly over the town of Darien, “The wind was first from the north and east. It blew with the greatest violence between eleven and twelve o’clock at night, after which it suddenly ceased. For half an hour it was nearly calm. Then it shifted to the west, and for some hours it blew more fiercely than ever. Under this change of direction the water fell rapidly, and many captives in trees and homes were permitted to come down and out.” The Savannah Georgian, of 25 September 1824, reported, “The storm at Darien, and its neighborhood. Exceed that of 1804, both in violence and destruction.” This is confirmed by reports from the Darien Gazette over the next two weeks. The beaches of Cumberland Island, near the St Johns bar and at St Augustine were covered with wreckage. Summary: Storm Tide values support major status and based on the storm’s track from the Bahamas to Darien, will list as a major hurricane for Upper Georgia, Lower Georgia, and all of the coastal waters and as a hurricane along the northeast Florida coast. Remarks: Ludlum’s, “Early June Hurricane of 1825". Ludlum details the observations at St Augustine, “With wind out of the east, rain commenced on the morning of Thursday, 2 June, with a shift later in the day to the southeast-by-south. No mention was made of any excessive wind speeds. By next morning the wind had backed into the northeast with the rain continuing until 1400. The wind behavior would place the storm center as first approaching from the south or southwest, but finally passing to the east on the morning of the 3rd.” The authors can’t dispute Ludlum’s analysis of this storm but based on the lack of damage, it would appear it was below hurricane strength in the study area. Summary: This storm will be counted as a Tropical Storm for northeast Florida and Upper and Lower Georgia. Remarks: Not previously listed by any commentator for this area. This is likely the same storm listed by Tannehill over Cienfuegos, Cuba on the 1st of October..
1825 appeared to be a significant year for hurricane activity with the early June hurricane. The “Santa Ana” hurricane of 26 July in Puerto Rico and this event. Summary: Will list as a hurricane for northeast Florida and the northeast Florida coastal waters. Remarks: Identified by Carter and Davis in Jacksonville, Mapped by Tannehill. A storm moved northward off the Georgia coast and entered South Carolina near Charleston. Ludlum reports, “...the storm was ‘very severe’ when abreast of St. Augustine, Florida, where the weather observer at Fort Marion recorded ‘a violent gale’ from the northeast on the 15th with rain and a temperature close to 80. Summary: This storm will be counted as an offshore hurricane for the coastal waters and as a tropical storm for the coast. Remarks: Identified by all sources. Described as a “Violent Gale” at St. Augustine. Dunn and Miller listed this event as a probable west coast storm and given the normal climatology this appears reasonable. Summary: This storm will be counted as a tropical storm for northeast Florida and the lower Georgia coast. Remarks: The East Florida Herald, in St. Augustine reported, “We have just had a heavy blow for several days, out of the north and east, attended with rain, but to my surprise the thermometer was undisturbed by it. Such a gale in the north must have changed it many degrees” . Summary: This storm will be counted as a tropical storm for northeast Florida. Landfall Point(s): Unknown, overland from Tampa Bay? Remarks: Identified by Ludlum. Not identified by the other principle commentators. The history of the Mosquito Inlet (now Ponce Inlet) Lighthouse indicates that a hurricane struck in October, washing away the keeper’s quarters and undermining the foundations of the lighthouse enough to cause it to lean. Keeper Williams and his family abandoned the area and moved back to his father’s plantation. A review of the East Florida Herald, leads one to believe that an October date is not likely, but the “violent” gales associated with a hurricane striking south Florida on the 14th September extended up to the lighthouse’s location through the 17th. This storm may have recurved in the Gulf and exited the coast near St. Augustine. Summary: As the characteristics and location of this event can not be ascertained it will not be counted as a tropical cyclone in the study area, but is added for historical completeness. Remarks: Center apparently passed well to the south of St. Augustine. The wind at Fort Marion shifted from northeast to Southeast with “showers and heavy rain all day.” , indicating the center passed to the south of that location. Jacksonville experienced a hard gale on the 1st and 2nd. The Jacksonville Courier Identifies this as the storm which blew down two warehouses near the river, Ludlum mistakenly attributes this to the 6 August storm. Several vessels were grounded or damaged by this storm. The authors believe this storm actually entered the Florida east coast south of Jupiter Inlet and crossed over the peninsula to enter the southeastern Gulf of Mexico. It is possible that this storm may have lingered the Gulf between the 3rd and 6th and made a second landfall along the Florida panhandle on August 7th. It is also possible that this storm may have interacted with the next hurricane which struck the region on the 6th of August, but this is simply unprovable at this time. It seems probable that north Florida only experienced the fringe effects of this storm and likely not above tropical storm force winds. Summary: This storm will be counted as a tropical storm for northeast Florida and the northeast Florida coastal waters. Remarks: The eye of this hurricane may have passed across modern day Duval County. The wind at St. Augustine suddenly shifted from the northeast to northwest around 11 am on the 6th. The Courier, in Jacksonville, reported that a wharf was "carried away" and the violence of the storm "awakened serious fears for some of the houses on the river" . The winds there shifted from northeast to southeast indicating the center passed south of downtown. A severe tidal inundation took place in St. Marys, “The tide rose in our streets from 4 to 6 feet, and many houses were deserted - their tenets leaving in boats...” . From the East Florida Herald, “the gale of the 6th was as severe as that in 1813 and has done as much injury to the place...” [As previously noted the 1813 storm was likely a major hurricane at that location]. The road from Pablo Creek to the North River [about the route of the present day intracoastal waterway] was obstructed by the many downed trees. Tannehill reports a violent hurricane passed over Puerto Rico on 2 August where it is known as “Los Angeles” and it is likely the same storm. The barometer at San Juan dropped to 28.00 inches/948 mb during the passage of this hurricane. Summary: This storm will be counted as a hurricane for all of the study area. Remarks: The “Calypso” hurricane. Passed offshore of the coast, but brought gale force winds to St. Augustine from the 16th thru the 18th. Summary: This storm will be counted as an offshore hurricane for the northeast Florida, Upper and Lower Georgia coastal waters and as a tropical storm for Northeast Florida. Landfall Point(s): Overland from Apalachee Bay. Remarks: Track Identified by Ludlum and Tannehill. The storm made landfall near Cedar Key and exited the coast near Jekyll island. St. Augustine had a gale on the 31st of August through the 1st. Savannah and Charleston experienced northeast gales. Summary: This storm will be counted as a tropical storm for all of the study area. Landfall Point(s): Unknown, likely south of St. Augustine. Remarks: “after four days of fresh northeast winds,...” (likely due to a northeaster) ” ’heavy winds’ prevailed at St. Augustine...’ On the 26th they were described as “heavy gales” . An apparent case of a local “northeaster”, or wedge, blocking a tropical cyclone’s retreat. Note: 1837 was one of the most active years on record in the North Atlantic basin and “Racer’s Storm” of 8-9 October is not listed as it moved inland through central Georgia. If this storm is included six tropical cyclones effected Georgia and northeast Florida that year. Remarks: Apparently an offshore tropical storm which may have impacted the South Carolina coast. From the Savannah Republican, “Few days have passed within the past two months in which we have not had heavy falls of rain. The season indeed from the commencement should be characterized as rainy. For near two weeks scare a day has passed without more or less of showers- generally sudden and violent. This has ended in apparently, the equinoctial storm, which though not marked by very violent winds has deluged us with rain almost without intermission for three days. Summary: Earlier reports and the duration of this event suggest a frontal passage and the languishing of the system across the southeastern states. Toward the later portion of the event it appears a baroclinc system may have developed tropical or subtropical characteristics. None of the principle commentators addresses this system and it will be counted as a tropical storm for Upper and Lower Georgia and the Georgia Coastal waters. Grant cites “Very Heavy Rain all day” from the 24th through the 27th with no reports of gales or high tides. He is very good about listing high tides due to their impact on the rice crop. No commentary can be found in the Savannah or Charleston Newspapers. Ludlum, and Carter, do not list this event. Tannehill indicates a landfall in South Carolina on the 16th and Dunn and Miller list a minor storm at Charleston also on the 16th. It appears likely that this is the western side of that system as it moved north from near the Bahamas. Summary: Based on later reports of inland flooding and minor problems from Cape Canaveral Florida to the Savannah River, as well as delays to coastal navigation it would appear this system was a tropical storm across the entire area and will be counted as such. It may have been a hurricane well offshore, based on a report from the schooner Jos. Crowell, near Cape Canaveral and the listings noted above. Summary: This storm will be counted as a tropical storm for the entire area, it could have been a tropical depression or wedge so the confidence is rather low. “4 A great deal of rain, and begins with quite a N. E. storm. great deal of rain - fences down - bridges gone &c.
“5&6 Heavy N. E. Gale for 36 Hours, the tide entirely over the whole plantation about 5 inches higher than the freshet of 1841, March. 7 Wind still fresh from N. E. and tides very high three breaks one in 27, 18 and u 20"
Damage appears to be relatively light based a subsequent letter written in Nov ‘42. Ho traced this storm over the Gulf of Mexico making landfall north of Cedar Key as an estimated 955 mb storm with an Radius Maximum Winds (RMW) of 18 nmi . This storm exited the coast south of present day Mayport as evidenced by the Gibbs report. Summary: This storm will be counted as a hurricane for northeast Florida and lower Georgia and the adjacent coastal waters. As a tropical storm for Upper Georgia and the adjacent coastal waters. Remarks: Listed by Ludlum, “The gale of the 26th at St. Augustine was ‘severe’ but ‘not as violent as that of the 5th’. “ Tannehill lists a storm in the Leeward Islands around the 24th and it is possible this is the same storm recurving offshore. From the journal of Hugh Fraser Grant, near Darien, Ga.
Summary: This storm will be counted as a tropical storm for the entire study area. Remarks: Center moved across the coast south of St. Augustine. Ho estimated a central pressure of 950 mb prior to landfall with an RMW of 12 nmi . A wind report of 75 from the northeast is recorded at Fort Marion, at 9 PM, with the maximum wind velocity likely missed during the night. No significant wind shifts to the west or damage appears to have occurred in St. Augustine during this event. Ho misidentifies Fort Marion as being on the St. Johns River 20 nmi SW of the city of St. Augustine, but in fact Fort Marion was the Castillo De San Marcos in St. Augustine itself. The eye later moved over Apalachicola and the storm caused much destruction in that city. Given this information it is likely a small intense storm made landfall to the south of the city and then proceeded inland across the peninsula. Ho suggested that this was most likely the most severe 19th century storm to effect north Florida, but damage reports from the 1811, 1813, 1825, 1837, 1880, 1896 and 1898 storms suggests this may not, in fact, be the case. Indeed the St Augustine News, had little to say about this event other than to note that “...the wind rose from the N. E. and for a time we had a severe blow.” No reports of damage were included in subsequent editions, this makes one wonder, if this were indeed a minor hurricane as the observations indicate, how strong were the events where significant damage is reported at St. Augustine. Summary: This storm will be counted as a hurricane for northeast Florida and the northeast Florida coastal waters and as a tropical storm for lower Georgia and the lower Georgia coastal waters. Remarks: Listed by Carter as striking northwest Florida and moving through Georgia. Ludlum, has no listing for this storm. Dunn and Miller report a landfall on the 14th in South Carolina. Tannehill also lists a storm in the Charleston area on this date. The journal of Hugh Fraser Grant does not mention a significant weather event on this date. Apparently, not a significant event for Georgia. Summary: Due to the uncertainty of the impact of this storm in the study area, it will not be counted for the study area, but is included for the historical completeness of this chronology. Remarks: A major hurricane in Cuba and the southeast Gulf of Mexico. Key West was almost destroyed and the Barometer at Havana dropped to 27.06 inches/917 mb. Ho estimated a minimum central pressure of 902 mb as this storm passed Key West on the 11th . The storm made landfall south of the Cedar Key area late on the 11th suggesting it was in the process of accelerating. Ludlum reports, in Jacksonville, “...The river rose six feet above high water mark, at two o’clock on Monday afternoon had flooded all the wharves, and had entered the lower floor of nearly all the stores on Bay Street...” . All of the wharves were carried away and several river front buildings destroyed. Davis (1925) reports, “...water stood in the stores on Bay Street two feet deep.” At Charleston it was described as the most severe gale in a dozen years. This storm is similar to but more severe in Jacksonville than the September 1896 storm. This storm caused the wreck of the steamer Mutual Safety on Fort George Island. It is highly likely this was a case of extreme inland high winds due to acceleration of forward motion. Summary: It is possible it may have been a major hurricane for inland north Florida, but due to a lack of conclusive evidence it will be counted as a hurricane for the entire study area. Remarks: Identified by Ludlum. “ ‘Hardest blow for many years on St. Johns River,’ “ Savannah Republican. 20 Sept. 1848. Not identified by any of the other commentators. This reference in the Savannah Republican was actually located in the 29 of September 1848 edition and refers to the next event. The Journal of Hugh Fraser Grant, actually lists “delightful weather” on the 18th. Summary: Due to the uncertainly of this event, the storm will not be counted as a tropical cyclone at this time, but is included for historical completeness. Remarks: Listed by Dunn and Miller as major at Tampa Bay where the tide rose 15 feet above normal. Ludlum describes two houses blown down in Jacksonville and bay flooding in the streets of St. Augustine. Ho reconstructed this event making landfall as a 945 mb storm with an RMW of 15 nmi near Clearwater and exiting the east coast near Cape Canaveral . All evidence from the study area seems to confirm this scenario. Summary: This storm will be counted as a hurricane for northeast Florida and the northeast Florida coastal waters, but doesn’t seem to have had a large impact on coastal Georgia or the Georgia coastal waters. Remarks: Identified by Tannehill and Ludlum. It is likely this storm moved overland from the Tampa Bay region as Dunn and Miller identify a minimal hurricane landfall with a 10 foot storm tide there on the same day (however Tannehill does not indicate a storm in the Tampa Bay region on that day but does on the 16 of October). Summary: This storm will be counted as a tropical storm for the entire study area, however, the damage to shade trees and tides in the Savannah area suggest that it may have been at or near hurricane strength in that area. Possibly the storm passed offshore and was re-intensifying near Savannah. Remarks: Partagas and Diaz, Storm 3, 1851; HURDAT Storm 3, 1851. Tannehill lists as “1851, August 16-28 Antigua, Puerto Rico, Havana, Florida.” Apparently a Cape Verde storm which destroyed the St. Marks area. Passed well inland across Georgia causing gales along the coast. No mention in the Grant Journal. Summary: This storm will be counted as a tropical storm for the entire Georgia coast and adjacent coastal waters. Remarks: Partagas and Diaz/HURDAT Storm 3, 1852. Not listed by the other commentators. The only significant reports from the study area concern the grounding of a mail packet south of St Augustine. From the Savannah Republican, “The Wreck of the Chatham. Capt Middleton and crew, late of the schooner Chatham, arrived at Charleston on Monday, in the schooner Florida, Capt. Willey from St. Augustine, and from the former the Courier, learns that on Saturday the 11th inst. About noon, the Chatham experienced a heavy gale from the south-east, and about two o’clock on Sunday morning, the wind having shifted to the east, and blowing right on shore, the sea at the time being very heavy, it was determined to run the vessel up on the beach, which was accomplished the same morning at about half past six o’clock, at a spot about fifteen miles south of St. Augustine...” This amplifying information to Paratagas’ description. Hugh Fraser Grant’s Journal, lists, N. E. Winds and rain from the 7th through the 12th, with no significant disruptions noted. Summary: This storm passed offshore, from the Gulf to the Atlantic, south of the study area and likely caused tropical storm conditions for northeast Florida coastal waters. Remarks: Partagas and Diaz/HURDAT, Storm 5, 1852. Gales at Jacksonville, listed by Davis. From the Savannah Republican, “Severe Gale, strong wind from the South-East prevailed here during Saturday, which increased in violence in the evening, until about nine o’clock it blew a perfect gale... ...Early in the evening the sky was overcast with clouds, which rendered the night very dark, through very little rain fell until eleven o’clock. – At this hour the storm was at its height, and judging from the terrific force in which it broke against the walls of the houses, and the heavy swelling roar with which it swept over the city, we expected yesterday morning to witness a scene of destruction even more extensive than that occasioned by the gale with which we were visited in August of last year. We have taken considerable pains to ascertain the extent of the damage, and are gratified to find it is not so great as we had reason to apprehend...” The paper further reported damage to trees, small structures, and roofing which is consistent with a strong tropical storm. Remarks: Partagas and Diaz/HURDAT, Storm 8, 1853. Not listed by Davis despite its significance at Jacksonville. Partagas had a “spot” storm with one location over the Bahamas, however reports from north Florida and southeast Georgia indicate the storm traveled north along the Atlantic coast. Hugh Fraser Grant recorded, “ 20&21 Severe Gale from N. E. tides over everything several breaks &c” . From the Savannah Republican, “The Late Gale – its effects in the south. The steamer William Gaston, Captain Thomas E. Shaw, arrived at this city early on Saturday, from Florida. As anticipated the gale which was experienced here, on Thursday and Friday last, did considerable damage along the coast; a number of vessels have sustained much injury, while some have been lost. Capt. Shaw informs us that the gale at Brunswick was very severe; and did much damage to the town, blowing down the engine-house belonging to the Brunswick Railroad Company, a large cotton shed, a blacksmith shop and a new frame house, and damaging more or less an number of other buildings. The new railroad wharf , which had been built of Palmetto logs, has been washed away, and was floating in the harbor, broken into pieces. The wharf above it has also been destroyed. We are gratified to learn that no lives were lost.” Numerous shipwrecks were reported including the Schooners, W. Mercer, blown ashore near Brunswick; G. W. Pickering six miles south of Tybee; the Mary Ann, blown on her beam ends in St. Andrews Sound; An unknown schooner near Darien and the Steamer Planter was ashore opposite Brunswick. “On Thursday the winds was very high at Jacksonville, and the water was blown over the wharfs, up into Bay Street...” At sea several vessels were demasted and the schooner James House reported “A perfect hurricane.” for 24 hours near 29 North and the Gulf Stream. The Palmetto was beached off of Charleston Bar and the Susan Cannon, took the blow off of Charleston. Winds at Charleston shifted from the N. E. to S. E. to S. W. on the 20th and 21st. Summary: The track for Storm 8, 1853, should be extended north along the east coast past Charleston. This storm shows the value of local studies as the national approach taken by Partagas and Diaz, missed details evident in the local records. “6 ...Wind Fresh from N. E.
Summary: Such a well known event with so much overwhelming evidence as it could be a study in its own right. This storm will be counted as a major hurricane for the upper Georgia coast, the lower Georgia coast and all three coastal waters areas. It will count as a hurricane for northeast Florida. Summary: This storm will be counted as a tropical storm for the upper Georgia coast. Remarks: Partagas and Diaz/HURDAT Storm 3, 1858. Passed well offshore to the south of St. Augustine and progressed northward to New England. Not a significant event for the study area as the path and descriptions noted by Partagas and Diaz indicate it was mainly an offshore event. Summary: Will be counted as an offshore hurricane for the entire area. Remarks: Only listed by Carter, “The wind reached hurricane force at Savannah at 2 PM. There was great destruction and loss of life on Hutchinson’s Island.” Fernandez-Partagas and Diaz do not list it in their reconstructions. Tannehill does list a storm at St. Kitts on the 2nd (HURDAT Storm 3, 1859) and a second storm was reported over the North Atlantic south of Cape Race on the 12th (HURDAT Storm 4, 1859). It is possible this could be the same storm, however neither the Savannah Republican or the Charleston Courier mention this event and no corresponding shipwrecks can be identified. The apparent source for Carter’s report is a reference to it from an 1893 Savannah Morning News article. Summary: A very dubious event. This storm will not be counted due to a lack of information on this event, but is added for historical completeness. Remarks: Partagas-Diaz/HURDAT Storm 1, 1860. The system passed offshore near Savannah. No local references noted. Summary: This storm will not be counted due to a lack of information on this event, but is added for historical completeness. Landfall Point(s): Florida West Coast? Remarks: Singer (1992) reports the loss of the confederate full rigged brig Jefferson Davis, 187 tons, grounded on the bar at St. Augustine during a gale on 18 August. This is likely the same storm as Partagas and Diaz/ HURDAT Storm 2, 1861. The Jefferson Davis first ran into trouble on the 17th and finally broke up on the 18th. Apparently, the gradient between a high to the north and the hurricane transiting the Florida Straits caused gales as far north as St. Augustine. As the storm is lost on the 17th it is also possible the storm recurved in the eastern Gulf of Mexico and was transiting offshore on the 18th. Summary: This storm will be counted as a tropical storm for northeast Florida and northeast Florida coastal waters. Remarks: Partagas and Diaz/HURDAT, Storm 6, 1863. Passed well offshore and progressed northward to North Carolina. Apparently, not a significant event for the study area, but caused some shipping disruption. Summary: Will be counted as a tropical storm for the offshore portions of the study area. Remarks: Partagas and Diaz, Storm 8, 1865, HURDAT Storm 7, 1863. Passed well offshore, however it was a very large system, probably enhanced on the northern extremities by high pressure to the north. Vessels reported a long duration of “hurricane” or “Gale” conditions over the coastal waters. Most significant were the Petit just out of Savannah which experienced a “very severe gale” for 56 hours, and the brig Alice Franklin near 31.4 North and 78.6 West encountered a “terrific gale” and was hove to on her beam ends for 12 hours. Summary: May have been a hurricane over the southern coastal waters, but more likely a tropical storm based on descriptions of the event and the lack of shipwrecks along the coast. Remarks: Not listed by any commentator or HURDAT. Singer reports a sidewheel steamer, the Taminend (formerly the Miantonomi), from St. Augustine and bound for Jacksonville, was grounded on the St. Johns Bar (in the modern day St. Johns River Entrance) at 830 P.M. in a “full gale” and that she broke up by 10 P.M.
Summary: The intensity of the wave action and the fact that this was a steamer as opposed to a sailing vessel makes it likely the gale was more than a local northeaster (wedge). Based on this evidence this event was likely of tropical storm intensity. Landfall Point(s): Near Cedar Key? Remarks: Partagas and Diaz/HURDAT, Storm 6, 1867. Storm passed offshore from Apalachee Bay to Jacksonville-St. Augustine. Vessels offshore experienced a gale. Summary: Likely a redevelopment or extratropical development as the storm moved offshore. HURDAT’s maintenance of a tropical storm over the coastal waters appears warranted, however it was likely below tropical storm intensity over the land areas. Remarks: Partagas and Diaz/HURDAT Storm 2, 1868. Overland from the Gulf of Mexico with gales at Savannah. Based on information noted by Partagas the system was apparently a tropical storm for the study area; however, it may not have been tropical (or possibly sub-tropical) at the time of passage. No further local information has been uncovered. Summary: Will be counted as a tropical storm for the Upper Georgia coast as well as the adjacent coastal waters. Remarks: Not noted by any of the commentators, Singer reports, the Steamer Crocket was grounded near St. Augustine Lighthouse and was a partial loss . Summary: Will be counted as a tropical storm for the northeast Florida coastal waters. Remarks: Partagas and Diaz/HURDAT Storm 3, 1871. Identified by Tannehill and Carter. Apparently a weakening storm moving northward over the coastal waters. Partagas and Diaz, refer to a report from the Bark Bridgeport which recorded a barometer of 28.10 inches/952 mb near Jupiter. The storm made landfall in the area and recurved through the southeastern states. Savannah wind speed was 72 mph from the north. Local newspapers hold extensive reports of the storm, at Savannah, “...The wind blew apparently from every direction, the tops of the trees were whipped about with a force almost equal to a tornado, they bent and whirled like reeds. It was not periodic puffs that would come and then lull, giving one time to catch breath, but it was one continuous blow without intermission.” At Jacksonville, the damage appears to be minor with weaker structures damaged, structures unroofed with tidal flooding and strong wave action along the river. It must be remembered that Jacksonville was an inland city and the entire coast was strewn with wrecks from Cape Canaveral northward. Additionally, the articles at all sites indicated an extended period of northeast winds prior to landfall once again highlighting the necessity for a blocking ridge to the north of the study area to arrest the storms recurvature and turn it westward into the coast. Summary: Reports lend high confidence that hurricane force conditions existed over the study area and this storm will be counted as a hurricane for all but the most inland areas. Remarks: Identified by Tannehill, Partagas and Diaz/HURDAT, Storm 4, 1871. Apparently an intense hurricane in the Carribean which may be tracked back to the Cape Verde islands. Passed inland to Tallahassee. Not a significant event for the study area. The Bark Hulda was lost 5 miles southeast of St. Augustine light in an August Gale (Singer 1992), and it could be either this or the above events. At Savannah, “Another Storm Rain in Torrents again – High Winds, &c., &c. ...For several days the weather has been cloudy, rainy and windy. Indeed, we have had but little sunshine since the great storm of Saturday. Yesterday morning opened threatening; the wind was quite brisk from the West or Northwest, accompanied by misty rain; during the day it veered around to the North, Northeast and East, blowing at times with much severity... ...A few trees, severely shaken by the wind on Friday night, yielded to it yesterday and came down to the ground...” Additional shipwreck occurred along the Florida coast. Summary: Reports lend high confidence that tropical storm force conditions existed over the study area and this storm will be counted as a tropical storm for all but the most inland areas. Remarks: Identified by Partagas and Diaz/HURDAT Storm 6, 1871. Passed across Georgia exiting the east coast. Heavy rainfall in Georgia and Florida. Local records held at the National Weather Service at Jacksonville indicate that St. Augustine reported a total of 21.5 inches of rain in August with an additional 23.9 inches falling in September, largely due to Tropical systems. Wind records began in Jacksonville on September 11th and this event was missed by several days. Additionally, it was not recorded by Davis at Jacksonville. Summary: As the Martha was able to “heave to” (a storm evasion tactic used by sailing vessels requiring a stay sail) and was not under “bare poles”, it is likely the storm was below hurricane intensity at that location but was re-intensifying as it moved offshore. This storm will be counted as a tropical storm for the interior southeast Georgia and Florida, and based largely on the report of the Martha, and other vessels in distress east of Savannah, as a tropical storm for the Upper Georgia coastal waters, but was likely below tropical storm intensity elsewhere. Remarks: Identified by Carter on the 25th, Partagas and Diaz/HURDAT Storm 5,1872. A minor hurricane which passed from Cedar Key to Jacksonville and then offshore. May have intensified offshore. The maximum wind at Jacksonville for October was 36 mph on the 7th so this system was likely below tropical storm over the land areas; however, Jacksonville did report 5.94 inches on rain on the 22-23rd. The Bark Cardenas encountered a fearful hurricane from the N. and N. E. on the 24th near 32 22 North and 77 04 West so the storm was evidently more severe offshore. Summary: The storm track and marine reports indicate the system was likely of tropical storm intensity over the offshore areas and it will be counted as a tropical storm. Remarks: Identified by Tannehill, not listed by Carter, Davis or Dunn and Miller Partagas and Diaz/HURDAT Storm 1, 1873, Apparently a minor storm and not a significant event for the study area. Maximum wind at Jacksonville was northeast at 28 mph, and no evidence of tropical storm force winds over the land areas is evident. Additionally there are no significant marine reports to point to. Summary: This storm will be counted as a very dubious tropical storm for the coastal waters, but it was likely below tropical storm intensity. Summary: This storm will be counted as a tropical storm for Georgia. Remarks: Partagas and Diaz/HURDAT Storm 4, 1873. Not listed by Carter or Davis. No reports in the local press and the event was likely below tropical storm intensity. Remarks: Partagas and Diaz/HURDAT Storm 4, 1873. Highest Jacksonville wind 36 mph from the north on the 7th; however the lowest Jacksonville barometer reading for October was 1014.3 mb (date unknown). So, tropical storm intensity was unlikely over the land. The vessel Cleopatra reported a hurricane lasting 13 hours over the northeast Florida coastal waters (29 25 N 79 20 W.) with the wind from the north to north-northeast. Other nearby vessels also reported hurricane conditions. It is believed that Partagas and Diaz’s report of the storm at “Lake City” more likely refers to Lakeland in Polk County. Summary: Based largely on the marine reports this system will be counted as a hurricane for the northeast Florida coastal waters. It may have been a tropical storm over the Lower Georgia coastal waters. Remarks: Identified by Dunn and Miller and Carter (likely from the latter’s reference) some loss of life reported . This could be confused with the September event. Neither Partagas and Diaz nor HURDAT list this event. Remarks: Partagas and Diaz/HURDAT Storm 6, 1874. The storm exited along the northeast Florida coast. Max wind at Jacksonville SW at 48 and 68 mph at Tybee Lighthouse (keeper report). Lake city recorded a minimum pressure of 995.6 mb and Charleston 984.1 mb. Once again damage reports from the Savannah area are commensurate with the wind intensity. Summary: This event was likely of tropical storm intensity over the land areas and Florida coastal waters and of hurricane intensity over the Georgia coastal waters. Summary: A hurricane well offshore with some impact over the land areas and local coastal waters. Remarks: Partagas and Diaz/HURDAT Storm 5, 1876. Not listed locally by Carter or Davis. Jacksonville’s minimum pressure for October was 998.7 mb (date unknown) and a maximum wind of 23 mph occurred on the 20th. No other reports from the shore areas. Offshore the Bark R. W. Griffiths reported a hurricane from the E to N. N. W. lasting 6 hours near 32 20 N. and 78 30 W. so winds over the coastal waters were at least of tropical storm intensity. Summary: Possibly a hurricane over the coastal waters but more likely of tropical storm intensity. Remarks: Partagas and Diaz/HURDAT Storm 2, 1877. Exited along the Georgia coast. Apparently a minor storm and no significant information on this storm could be found. Not a significant event for the study area. Summary: This storm will not be counted as a tropical storm for the study area, but is added for completeness. Remarks: Partagas and Diaz/HURDAT Storm 4, 1877. Overland storm caused gales along the Georgia coast. Not a significant event for the study area. Max wind at Jacksonville 27 mph from the southwest; however, this position appears to have been shielded and the storm was somewhat stronger along the coast. Summary: Based on the above information the event will be counted as a tropical storm. Remarks: Partagas and Diaz/HURDAT Storm 7, 1877. Exited along the northeast Florida coast. Apparently a minor storm and no significant information could be found. Not a significant event for the study area. Summary: This storm will not be counted as a tropical storm for the study area, but is added for historical completeness. Remarks: Tannehill and Davis both report this storm, yet Neuman et al and Fernandez-Partagas both do not. Davis has proven to be a solid source for the dates of Tropical Cyclones. From the Savannah Morning News, “ On Thursday night about eleven o’clock, Palatka was visited with a gale from the northeast with heavy rains. The storm lasted until daylight gradually bearing to the southeast. The town was flooded with water, damaging to some extent bridges and the foundation of some of the houses in Newtown. ..,” Maximum wind at Jacksonville E at 25 mph. Possibly more severe over the coastal waters as the Schooner Sarah L Thomas, (196 tons) was stranded in a storm, on the 12th, one half mile south of the St. Johns Bar. Summary: It appears likely that tropical storm force winds occurred over the coastal waters and the wind shift at Palatka indicates an organized system. Therefore, it is suggested this event be added to the HURDAT data base. Remarks: Partagas and Diaz/HURDAT Storm 5, 1878. listed as minimal by Dunn and Miller with 13 wrecks along the northeast coast. Wrecks were strewn out from Cape Canaveral to Amelia Island. Tracked by all sources as developing east of the Lesser Antilles. Lowest Jacksonville barometer 29.19 inches/989 mb on the 11th. Produced northeast gales and the tide backed up into the streets. Maximum wind at Jacksonville NE at 48 mph. In 1878 a storm is reported as having destroyed the rice crop at Butler Island, leading to the decision to abandon that property, and this storm was locally credited with producing the highest tide since the September 8th 1854 event. It seems reasonable that this storm would be the leading suspect as the high tides and swells are reported to have flooded the rice paddies. The storm was likely of hurricane intensity over the coastal waters and along the Georgia coast and of tropical storm intensity over northeast Florida. Using Ho’s equation a RMW of 25 nm, Jacksonville’s pressure of 989 mb, an outer pressure of 1010 mb, and a distance from downtown Jacksonville of 75 nm yields a central pressure of 976 mb at the storm’s closest point of approach to Jacksonville. Summary: This storm likely caused hurricane conditions along the immediate coast and coastal waters. Therefore, it will be counted as a hurricane for all of the study area, except inland locations. Remarks: Partagas and Diaz/HURDAT Storm 8, 1878. Rains reported in Savannah. Likely not a significant event for the study area. Remarks: Davis listed this storm. Neuman et. al. as well as Fernandez-Partagas and Diaz, Storm 11, 1878, track this storm well offshore. Maximum wind at Jacksonville NW 24 mph; however several wrecks occurred along northeast Florida during this period. Singer reported that the iron streamer, City of Houston (1,515 tons) was, “Hit by a hurricane Oct. 20, 1878, off Fernandina. Started leaking on Oct. 22. Her fires went out on the 23rd and distress signals were fired. By 8 A. M. she drifted over Frying Pan Shoals off Fernandina with 10 feet of water in her hold (Note: No shoal by that name exists off Fernandina Beach, with Frying Pan Shoals, North Carolina the likely possibility). The steamer Margaret rescued passengers and crew.” It seems more likely this vessel was off of North Carolina. The Salvador was also demasted east of the St. Johns Bar in October. Summary: Due to the uncertainly of this event, the storm will not be counted but is included for the historical completeness of this chronology. Remarks: Partagas and Diaz Storm 5, 1879. Not indicated in the HURDAT Data. Likely not a significant event for the study area. Jacksonville maximum wind velocity not recorded for that date, however it had to be less than 12 mph as the monthly maximum speed wind recorded for that month was 12 mph. Summary: Due to the uncertainly of this event, the storm will not be counted as a tropical cyclone for the study area, but is included for the historical completeness of this chronology. Remarks: Partagas and Diaz Storm 8, 1879. Likely not a significant event for the study area. Jacksonville maximum wind velocity not recorded for that date, but less than 26 mph. No additional local data available. Summary: Due to the uncertainly of this event, the storm will not be counted, but is included for the historical completeness. Remarks: Center made landfall south of the study area. Listed as major by Davis, as well as Dunn and Miller, who note it was “severe at Palm Beach - Okeechobee.” Partagas and Diaz/HURDAT Storm 4, 1880. 68 dead near St. Augustine due to the wreck of the steamship Veracruz. Maximum winds at Jacksonville NE at 32 mph, but the wind reached 64 mph from the NE at Cedar Key (before the apparatus was disabled). Summary: This storm will be counted as a tropical storm for northeast Florida and as a hurricane for the adjacent coastal waters, but mainly for the area below St. Augustine. Remarks: Partagas and Diaz/HURDAT Storm 6,1880. Maximum winds at Jacksonville W at 24 mph and .3 inches of rain recorded. Cedar Key wind south at 30 mph. Likely a tropical depression as it passed over north Florida. Summary: This storm will not be counted as a tropical storm for northeast Florida as no supporting evidence for tropical storm intensity in the study area has been found. It is included for the historical completeness. Remarks: Partagas and Diaz/HURDAT Storm 9,1880. Probably a tropical storm to minimal hurricane at landfall. Violent gales were reported between Cape Hatteras and Jacksonville. Maximum wind at Jacksonville was 36 mph from the SE, 52 mph at Savannah. Likely a tropical storm as it passed over north Florida. Summary: This storm will be counted as a tropical storm for the study area, as HURDAT maintains hurricane intensity too far to the northeast. Remarks: Partagas and Diaz/HURDAT Storm 5,1881. A very destructive and somewhat overlooked storm. Caused much destruction and killed 335 at Savannah. Dunn and Miller report over 700 killed. Savannah lowest barometer 29.08 inches/985 mb at 9:20 PM. The wind instrument blew away at 80 mph. This was likely a very tight storm with maximum winds just south of the reporting station. Using Ho’s equation a RMW of 15 nm, Tybee’s pressure of 985 mb, an outer pressure of 1010 mb, and a distance from Tybee of 15 nm yields a central pressure of 970 mb at the time of landfall. Based on modern storm surge modeling , a category two storm making landfall at the time of high tide could inundate large portions of Tybee, Skidaway, Isle of Hope and Whitemarsh Islands. This is may be an example of the worst possible case for a category two event being realized. The storm turned sharply toward the west and may have been deepening on landfall. The moon phase was waxing having been full on the 24th. Maximum wind at Jacksonville 30 mph, but Violent gales reported offshore. Summary: Possibly a major storm near Savannah but more likely a Cat two.. Remarks: Listed by Davis, Tannehill, Dunn and Miller. Partagas and Diaz Storm 8,1881. Not included in the HURDAT database Maximum wind at Jacksonville NE at 28 mph on the 5th. Summary: Likely a Tropical Depression. This storm will not be counted as a tropical storm for northeast Florida as no supporting evidence for tropical storm or greater strength in the study area has been found. It is included for the historical completeness of this chronology. Remarks: Listed by Davis, Tannehill, Dunn and Miller. Partagas and Diaz/HURDAT Storm 2, 1882.. Listed as a minimal hurricane at landfall. Maximum wind at Jacksonville SW at 36 mph. Despite the distance from the point of landfall, a tornado apparently formed on an outer rainband and moved through Darbyville (about 30 miles west of Jacksonville) on the 10th at 9:50 p.m. This event killed one person, injured several and destroyed a number of houses. Summary: This storm will not be counted as a tropical storm for northeast Florida as no supporting evidence for tropical storm or greater strength in the study area has been found. It is included for the historical completeness of this chronology. Remarks: Listed by Tannehill, Dunn and Miller and Davis, Partagas and Diaz/HURDAT Storm 5, 1882. Likely a tropical storm at landfall. Maximum wind at Jacksonville SE 44 mph, 56 mph at Cedar key. In north Florida, Considerable damage was done to telegraph lines, wharves and small boats, estimated damage was 5 or 6 thousand dollars (in 1882 dollars). Remarks: Partagas and Diaz/HURDAT Storm 3, 1884. Developed off Cape Canaveral and made landfall along the upper Georgia coast on 10-12 September Winds of tropical storm strength experienced, not a significant event for the study area. Between the 15-18th unusually high tides occurred on the St .Johns and did considerable damage to wharves and freight. This may have been due to the gradient between the ridge to the north and a looping tropical cyclone offshore. Summary: This storm will be counted as a tropical storm for the upper Georgia coast and all three coastal water areas. Landfall Point(s): Offshore of Florida and Georgia; Landfall as a major hurricane in South Carolina. Remarks: Partagas and Diaz/HURDAT Storm 2, 1885. Reported at Ruby (the original name for Jacksonville Beach). Wind began from the northeast Sunday night and continued to increase until 9 am Monday when it switched to northwest and was estimated to be blowing at 60 mph with hurricane force gusts. Wind NW at 56 mph at Tybee Island. Listed by Dunn and Miller as a minimal storm. Maximum wind at Downtown Jacksonville W at 40 mph. The storm intensified during it’s trek up the coast making landfall as a major hurricane in South Carolina. Summary: This storm will be counted as an offshore hurricane for all three coastal waters areas and as a tropical storm for all three coastal study areas. Landfall Point(s): Overland from the upper gulf coast. Remarks: Partagas and Diaz/HURDAT Storms 3, 1885; 4, 1885; and 6, 1885. None have been listed by Davis, who is usually reliable in his listing. A series of storms moved east-northeast long the upper gulf coast and exited the mainland in the study area. Maximum wind at Jacksonville for any of them was 30 mph from the southeast on the 29th of September. Heavy rains occurred over the latter half of September with 19.63 inches falling. Summary: None of these storms will be counted as a tropical storm for the study area as no supporting evidence for tropical storm or greater strength in the study area has been found but they are included for the historical completeness of this chronology. Landfall Point(s): Overland from near Cedar Key. Remarks: Listed by Davis, Partagas and Diaz Storm 8, 1885. Maximum wind 36 mph from the south on the 12th, lowest barometer 29.42 inches/996 mb. Cedar Key winds SE at 48 mph, barometer 29.19/988.5 mb with some street flooding. The storm moved north into coastal Georgia. Remarks: Partagas and Diaz Storm 2, 1886, (Note as the revised HURDAT data base has not been published past 1885 at this time will not refer to the old database in this document) not listed by Davis for Jacksonville. Partagas reports, “winds at Cedar Key ‘came in Squalls, blowing at times in the night at a rate of 75 to 90 mph, shaking the strongest house in town and prostrating trees, telegraph poles and signs. Between 10 and 11 P.M. the wind blew from the E. at 68 mph’...” Likely effected the extreme western portions of the study area. Summary: This storm will be counted as a hurricane for northeast Florida, but really for the region west of Gainesville and Lake City. Remarks: Partagas and Diaz Storm 3, 1886, not listed by Davis for Jacksonville. Gales at Cedar Key and maximum wind of 36 mph from the south. Likely tropical storm gusts occurred in the study area due to fringe effects. Remarks: Partagas and Diaz Storm 4, 1886, not listed by Davis for Jacksonville. Maximum wind at Jacksonville less than 28 mph. Remarks: Partagas and Diaz Storm 7, 1888, listed by Davis. An accelerating hurricane destroyed the Beach House Hotel on Fort George Island. The hotel was never rebuilt. The storm is listed by Dunn and Miller as being minimal, but the tide rose 9 feet in 30 minutes at Cedar Key, winds estimated at 75 mph and with a barometer of 29.22 in/989.5 mb. Maximum wind at downtown Jacksonville N at 38 mph, but certainly higher in gusts near Mayport, Barometer 29.64 inches/1004 mb. Summary: This storm will be counted as a tropical storm for northeast Florida. The destruction of the hotel may indicate hurricane conditions along the immediate coast. Remarks: Partagas and Diaz Storm 2, 1889, not listed by Davis for Jacksonville. Winds at Jacksonville were less than 28 mph as the peak wind that month occurred on the 28th. Summary: This storm will not be counted as a tropical storm for northeast Florida as no supporting evidence for tropical storm or greater strength in the study area has been found but it is included for the historical completeness of this chronology. Remarks: Partagas and Diaz Storm 8, 1891, not listed by Davis for Jacksonville. Max winds for October 1891 occur on the 22 at 24 mph, so apparently not a significant event for the study area. Remarks: Partagas and Diaz Storm 1, 1893, listed by Davis. Maximum wind at Jacksonville 44 mph from the SW with 1.51 inches of rain. Lowest Jacksonville barometer 1000.0 mb. Likely of tropical storm strength as it passed the study area. Summary: This storm will be counted as a tropical storm for northeast Florida and the entire Georgia coast. Remarks: Partagas and Diaz Storm 6, 1893, listed by Davis. One of the great weather related natural disasters. Up to 2,500 perished along the Georgia and South Carolina coasts. Accompanied by a tremendous surge which completely submerged many of the Sea Islands. This storm was sharply recurving offshore. It passed to the east of downtown Jacksonville by 45-60 statute miles and offshore of St. Simons Island by 25-30 statute miles. Jacksonville barometer was 29.04 inches/983.4 mb, based on local station records. 9 cottages blown down at Mayport, may have destroyed the remains of the original lighthouse at Mayport. Dr. Frances Ho, estimated a central pressure of 931 mb (making it a category four storm) at landfall. The Atlantic Hurricane Re-analysis Project has indicated a Category three landfall along the upper Georgia coast with a minimum central pressure at landfall of 954 mb and a 23 nmi Radius of maximum winds. Additionally, the storm made landfall coincident with the full moon phase the moon reaching full at 3:42 am on the 27th. Utilizing Ho’s central pressure relationship equation for this event, with the same RMW (as at Savannah) of 23 nm, an outer pressure of 1010 mb, a Jacksonville minimum pressure of 983.4 mb, and distance from downtown Jacksonville of 45 nm yields a central pressure of 943.5 mb at the storm’s closest point of approach to Jacksonville. It seems unlikely that the storm was deepening at the time of landfall as Ho’s analysis suggests, and the Re-analysis Project’s 954 mb landfall pressure and a weakening trend prior to landfall seem more reasonable. As the North Florida and Lower Georgia coastal areas were on the weaker western side of the storm it will be counted as a minimal hurricane for those areas. Damage reports from the 1893 hurricane are very similar to damage sustained in Hurricane Floyd in 1999 and it appears the 1893 event was a similar storm for those areas. Remarks: Partagas and Diaz Storm 9, 1893, listed by Davis. A major hurricane passed 60-90 miles offshore. Maximum velocity at downtown Jacksonville was reported to be 48 mph but the storm was reported as more severe in Mayport. A storm tide was pushed up the St. Johns River with the low tide near the normal high tide mark. Some street flooding in St. Augustine. Reports from the Jacksonville weather office records indicate that “Mayport suffered severely.” Probably similar to hurricane “David” in 1979 in relation to its effects in north Florida. Summary: This storm will be counted as an offshore hurricane for all three coastal waters areas. Remarks: Partagas and Diaz Storm 4, 1894, listed by Davis. The minimum central pressure in Jacksonville was 29.27/991.2 mb. Bringing the center offshore just south of St. Augustine would mean the CPA of this storm was 35 nm south of the station. Using Ho’s equation a RMW of 25 nm, Jacksonville’s pressure of 991 mb, an outer pressure of 1010 mb, and a distance from downtown Jacksonville of 35 nm yields a central pressure of 973 mb as it exited the Florida east coast. Summary: This storm will be counted as a hurricane for northeast Florida and the northeast Florida coastal waters, mainly to the south of downtown Jacksonville. Summary: This storm will be counted as a tropical storm for northeast Florida as the study area was on the fringes of the storm. Remarks: Partagas and Diaz Storm 4, 1896, listed by Davis. Dunn and Miller identify as a major hurricane with 100 killed , but Ho does not reevaluate this event. This accelerating and very asymmetrical storm moved inland north of Cedar Key and progressed northward across Lake City, Fl. and Jesup, Ga. The storm was moving rapidly ahead of a large Polar air outbreak and has already been identified as major in the southeast Gulf of Mexico. Period reports indicate this was a major event over land also. After the eye passed over Lake City the winds there were estimated to be 150 mph , although that value must be used with extreme caution. Tremendous destruction occurred in a 50 mile wide swath from Cedar Key to Savannah, with most of the damage occurring east of the center. The center appears to have made landfall near the mouth of the Suwannee River between 6 and 6:30 AM (Partagas brings the center onshore to early) and passed across Fort White at 7:30 AM and Lake City around 8 AM . The center was later identified at Guyton, Ga, west of Savannah, between 12:30 and 12:45 PM. This is an approximate track distance of 215 statute miles and estimating a 7 hour transit time yields a forward motion slightly in excess of 30 mph. - 115 mph chosen due to small RMW and fast speed of motion although the hurricane is overland. Period reports of damage to structures and forested areas are consistent with this estimate, suggesting this was a major hurricane inland over northeast florida. Surface analysis suggest an outer pressure of 1014 to 1016 mb would be appropriate for this event. Summary: This storm will be counted as a major hurricane for interior north Florida and northeast Florida and a hurricane for all of the coastal waters areas. Remarks: Partagas and Diaz Storm 3, 1897, listed by Davis. Maximum wind at downtown Jacksonville 36 mph from the northeast. No hurricane force winds along the coast, but possibly offshore. Maximum wind at Jacksonville 40 mph from the northeast. Local station records indicate that 5.45 inches of rain fell in 24 hours on the 20-21st. Remarks: Not listed by Tannehill. Dunn and Miller reported the center passed over Tybee Island. Partagas and Diaz Storm 2, 1899, not listed by Davis. A small but vicious hurricane with a maximum wind velocity of 84 mph at Tybee Island. Roofs were ripped off houses and extensive flooding occurred. Summary: This storm will be counted as a hurricane for the upper Georgia coast. Remarks: Partagas and Diaz Storm 7, 1898, listed by Davis. A major hurricane event with landfall on central Cumberland Island. Moving on a due west course similar to “Dora” in 1964, but intensifying on landfall much like Hugo (1989). Dunn and Miller reported 179 killed in coastal Georgia . Severe impacts in Florida were restricted to the extreme northeast portion of the state. The Fernandina waterfront was heavily damaged with a possible 12' storm surge. It was reported that 4 feet of water flowed into the office of the local newspaper, The Mirror. "The water invaded every building as high as Third street.". The Cumberland Island Pilot Boat MAUD HELEN was left 20 feet high on a bluff at High Point, with a 16 foot storm surge in downtown Brunswick. This event caused the storm surge of record for most points in northeast Florida and southeast Georgia. Ho re-evaluated this event as being a 945 mb storm with an RMW of 24 nmi . A subsequent re-evaluation by Sandrik and Jarvinen ( 1999 ) determined a central pressure of 938 mb and a radius of maximum winds of 18 nmi . These values were derived based on multiple SLOSH runs to determine a best fit hurricane from observed storm surge values. Summary: This storm will be counted as a major hurricane for the entire Georgia coast as well as all of the coastal waters areas and a hurricane for Northeast Florida (though approaching major hurricane status in Fernandina). Clearly this event compares favorably to Hurricane “Hugo” of 1989. Remarks: Partagas and Diaz Storm 6, 1899, listed by Davis. Maximum winds at Jacksonville below tropical storm force. The Schooner, John H. Tingue, (552 tons) struck the beach at Cumberland Island on October 5th, during the storm and the Schooner, John R. Anidia (32 tons) sank in Fernandina on October 6th during a strong gale. Summary: The marine information indicates that a gale of sufficient intensity to wreck two schooners within 24 hours was occurring near the Florida-Georgia state line. The authors would like to thank the following people for their support, contributions, assistance or advice in the production of this Technical Memorandum: Steven Letro, Meteorologist In Charge, and Dr. Pat Welsh, Science and Operations Officer, NWSFO Jacksonville; Dr. Richard Pasch, Dr. Jack Beven, Colin McAdie, Brian Jarvinen and Joan David, Tropical Prediction Center/National Hurricane Center; Dr. James Elsner, Florida State University; Buddy Sullivan, Manager NERR, Sapelo Island, Georgia, Georgia Dept. of Natural Resources; and Noel Charles and Lenworth Woolcock of the NOAA Hurricane Research Division. Barnes, Jay, Florida’s Hurricane History, University of North Carolina Press, Chapel Hill and London, ISBN 0-8078-2443-7. Bullard, Mary R., Robert Stafford of Cumberland Island: Growth of a Planter, 1986, E. O. Painter Printing Co., DeLeon Springs, Florida. Bullard, Mary R. and Wood, Virginia Steele, Editors, 1996, Journal of a Visit to the Georgia Islands of St. Catherines, Green, Ossabaw, Sapelo, St. Simons, Jekyll, and Cumberland, with Comments on the Florida Islands of Amelia, Talbot, and St George, in 1753, MERCER UNIVERSITY PRESS In Association with the Georgia Historical Society. Carter, Horace S., Georgia Tropical Cyclones and Their Effect on the State, 1970. ESSA Technical Memorandum EDSTM 14. Chatelain, Verne E. The Defenses of Spanish Florida 1565 to 1763, Carnegie Institution of Washington Publication 511, Washington D.C., 1941. Held by the St. Augustine Historical Society. Davis, Frederick, Climatology of Jacksonville, Fla., and Vicinity, Locally produced and held in the Jacksonville Public Libraries Florida Collection. Dunn, Gordon and Miller, Banner, Atlantic Hurricanes, 2nd Edition, 1964, Louisiana University Press, Library of Congress Catalogue Number: 64-21598. Hagemeyer, Bartlett C., and Carney, JoAnn S., Florida Hazardous Weather Day-By-Day. 1995, National Weather Service, Southern Region Headquarters, Fort Worth, Texas. Ho, Frances, P.. Extreme Hurricanes in the Nineteenth Century, 1989, National Weather Service, Silver Springs, MD. NWS HYDRO 43. Contract # EMW-84-E-1589. Jarrell, Jerry. D., Herbert, Paul J., Mayfield, Max, 1992: Hurricane Experience Levels of Coastal County Populations From Texas to Maine. NOAA Technical Memorandum, NWS NHC 46, Coral Gables, Florida, 152 pp. Jarvinen, B. R., C. J. Neumann, and M. A. S. Davis, 1984: A tropical cyclone data tape for the North Atlantic Basin, 1886-1983: Contents, limitations, and uses. _NOAA Technical Memorandum_, NWS NHC 22, Coral Gables, Florida, 21 pp. Landsea, C. W., C. Anderson, N. Charles, G. Clark, J. Dunion, J. Partagas, P. Hungerford, C. Neumann and M. Zimmer, 2002: The Atlantic hurricane database re-analysis project: Documentation for the 1851-1885 alterations and additions to the HURDAT database. _Hurricanes and Typhoons: Past, Present and Future_, R. J. Murnane and K.-B. Liu, Eds., Columbia University Press, accepted and revised for publication. Ludlum D., Early American Hurricanes 1492-1870, 1963, American Meteorological Society. Beacon, Street, Boston 8, Massachusetts. Marotti, Frank, Storm Winds That Fulfill His Word, Tempests, The Jesuits and the Evangelization of Florida 1566-1572, Year Unknown, . Held by the St. Augustine Historical Society. Marx, Robert and Marx, Jenifer, New World Shipwrecks 1492-1825, 1994, Ram Publishing Company, P. O. Box 38649, Dallas, Texas 75238, ISBN 0-915920-84-0. Neumann, Charles, Jarvinen, Brian, McAdie Colin and Elms, Joe, 1993, Tropical Cyclones of the North Atlantic Ocean 1871-1992, 4th revision, DOC/NOAA Document Historical Climatology Series 6-2. Partagas, Jose Fernandez-, and Diaz, Henry F., A Reconstruction of Historical Tropical Cyclone Frequency in the Atlantic from Documentary and other Historical Sources, (1995-1997), Volumes I-V. Climate Diagnostics Center, Environmental Research Laboratories NOAA. Patrick, Rembert W., Florida Fiasco, Rampant Rebels on the Georgia-Florida Border 1810-1815, 1954, University of Georgia Press, Athens. Rappaport, Edward N. and Fernandez-Partagas, Jose, The Deadliest Atlantic Tropical Cyclones, 1492-1994, 1995, NOAA Technical Memorandum NWS NHC-47. Romans, Bernard, A concise natural history of East and West Florida, New York, 1776. Sandrik, Al and Jarvinen, Brian, A Reevaluation of the Georgia and Northeast Florida Tropical Cyclone of 2 October 1898, Pre-prints 23rd Conference on Hurricanes and Tropical Meteorology ( Vol I ), Dallas, Texas, 10-15 January 1999, Pg 475-478. Sandrik, Al, Landsea Christopher, and Jarvinen Brian, The North Florida Hurricane of 29 September 1896, A Historical Case of Extreme Inland High Winds, Pre-prints 24th Conference on Hurricanes and Tropical Meteorology, Fort Lauderdale, Florida, 29 May-2 June 2000, Pg 547-8. Simpson, Robert H. and Riehl, Herbert, The Hurricane and its Impact, 1981, Louisiana State University Press, Baton Rouge and London, ISBN 0-8071-0688-7. Sugg, Arnold L., Pardue, Leonard G. and Carrodus, Robert L., Memorable Hurricanes of the United States Since 1873, 1971, NOAA Technical Memorandum NWS SR-56. Sullivan, Buddy. Early Days on the Georgia Tidewater: the story of McIntosh County and Sapelo, 1990, The Darien News, Darien, Georgia, ISBN 0-9625808-0-5. Tannehill, Ivan. Hurricanes Their Nature and History, 7th edition, 1950, Princeton University Press. Torres, Louis, Historic Resource Study Cumberland Island National Seashore Georgia and Historical Structure Report Historical Data Section of the Dungeness Area, 1977, Denver Service Center, Historic Preservation Division, National Park Service, United States Department of the Interior, Denver, Colorado. Waterbury, Jean Parker, Editor, Buker, George E., Bushnell, Amy, Dow, Robert N. Jr., Graham, Thomas, Griffin, John W., Griffin, Patricia C., Schafer, Daniel L., Waterbury, Jean Parker. The Oldest City, St. Augustine Saga of Survival, St. Augustine Historical Society, 1983, Library of Congress Catalogue Card Number: 83-50479. ISBN 0-961-2744-1-7. Ward, James Robertson, Old Hickory’s Town, An Illustrated history of Jacksonville, 1st Edition, 1982, Florida Publishing Company, Jacksonville, Florida. Library of Congress Catalogue Number: 82-083296. Zubillaja, S. I., (Rome, English translation by Lawson, E. W.), Father Pedro Martinez (1533-1566), The First Jesuit Blood in the North American Missions, Year Unknown. Held by the St. Augustine Historical Society. East Florida Herald, Various issues 1825-1837. Fernandina Mirror, Oct. 3, 1898. Florida Times Union, August 27-Sept. 2, 1893; Sept. 20-30 1894; Sept. 30-Oct. 7, 1896; Oct. 1-7,1898. Jacksonville Courier, Vol III, Aug 3-17, 1837. Original documents, Jacksonville Public Library. New York Times, Oct. 1-6, 1898. El Escribano, St. Augustine Historical Society, Volume 2, 28 October 1984, The diary of Kingsley Beatty Gibbs, Pages 54-87. Florida Historical Quarterly, Volume IV, 1925, The Nine Old Wooden Forts of St. Augustine, Conner, Jeanette Thurber, Pg 171-172. Georgia Historical Quarterly, Volume XXXIII, March 1949, Pg 228, Letters of John Floyd,1813-1838. South Carolina Historical Quarterly, Volume XXXIII, 1932 pages 22-25, Josiah Smith Diary.